If you find yourself in The Big Apple and you don’t want to get lost in the crowd in this city, take a look at the best non touristy things to do in NYC and avoid the chaos. New York City is one of the biggest cities in the world, and here, regardless of whether you are with friends, your significant other or by yourself, you will never feel bored and alone. There are many different places that will satisfy every person’s need for entertainment and fun. Unlike small towns, The Big Apple has countless bars, pubs, and restaurants where you can head out and have a drink or two by yourself or enjoy a delicious meal. The best thing is, doing these kind of things by yourself is not weird at all. On the contrary, in NYC it is more than okay to spend quality time enjoying your own company. If you ever find yourself in a situation where you just want to enjoy a drink by yourself, head to one of the 25 best bars to go to alone in NYC. When we are talking about best touristy and best non touristy things to do in NYC, you should keep in mind that the line between the two is very thin. This city is full countless beautiful and unique places that every person would like to visit regardless whether he is just visiting or he is living here. Despite that, New York City is a huge city, with a population of about 8.5 million citizens. Not every local New Yorker has visited all the touristy things in this city and knows all about them. When we are talking about good places and things to do, every person wants to go there and try them. 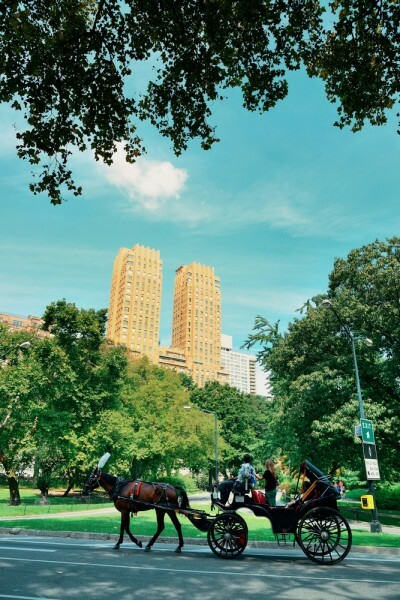 It doesn’t matter whether you are just visiting the city that never sleeps or you are living here, you should know what is on the list of 25 off the beaten path things to do in NYC, and you should always keep these things in mind for your next visit in The Big Apple. While creating our list, we consulted Class Curious and used their database to create our list of best non touristy things to do in NYC. Keep in mind that every person has different interests, so maybe only some tourists would like to visit a place or two on our list while rushing through the city to see every corner of it. However, considering the fact that there are more than 50 million tourists in New York City every year, these are far from the most popular touristy things. Since we couldn’t find the best way to sort our list because, at the end of the day, it all depends on your interests and what you want to see, we decided not to sort it in any particular order. Get your pen and paper ready to take some notes on the 25 best non touristy things to do in NYC. 25 Best Bars to Go to Alone in NYC 25 Best Non Touristy Things To Do In NYC 25 Off The Beaten Path Things To Do In NYC Approach NYC’s history At The Tenement Museum NYC cool things to do in NYC this weekend cool things to do in NYC today Drink Wine NYC Eat an Ice Cream NYC Eat At The Beard House NYC Explore The Bronx Zoo NYC Find Yourself In A Medieval Wonderland At The Cloisters NYC Go Ethnic in NYC Grab Some Chinese Food NYC Hang Out In Central Park NYC Head To The Whitney Museum NYC Hitch a Ride to Rockaway Beach NYC Island Hop NYC List XFinance Marie’s Crisis NYC Relax In The Community Gardens of The East Village NYC Shop Elsewhere in NYC Slideshow Take a Hike NYC Take a rest at Hudson River Park NYC Take a Walk On The Brooklyn Bridge NYC Take a Walk On The High Line NYC The Father’s Heart at NYC unique things to do in NYC Upright Citizens Brigade NYC Visit a Class NYC Visit a Jazz Club NYC Visit The Chelsea Flea Market NYC Visit The Paris Cinema NYC what to do in NYC?